This is a complex field that's quite difficult to discuss unless a certain amount of basic knowledge is obtained beforehand, which in itself would require much time and effort. We will nevertheless attempt to simplify the argument by providing a brief overview of some of the main types of face bows and other systems for adjusting the movements of the mandible, which are used for programming the dental articulator. Publication no. 6, entitled Basic aspects of the articulator, showed how the articulator is used to replicate the movements of the mandible. 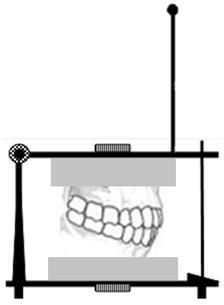 Regardless of the movements that a dental articulator is capable of replicating, the models must be positioned using a face bow as this allows us to replicate the position of the maxilla: a necessary position that allows the articulator to subsequently perform the correct movements. A face bow is a device that's used to measure the positional relationship of the teeth and the maxillary crest with respect to the centre of the glenoid fossa in three-dimensions: sagittal, vertical and anterior-posterior (J.S. Landa 1954). This means that it provides us with a static position, or rather tells us how to position the models, but does not tell us the movements they must make in order to replicate the actual movement of the mandible. In fact, the data for programming the articulator's movements are recorded on the patient using other tools, which also have varying degrees of accuracy, like the pantograph for example: a tool that's capable of recording all the movements that the mandible can perform. Depending on the technique used to record the mandible's movements, we will naturally use a certain type of articulator that's capable of being programmed with the data recorded by the dentist, or rather one that's capable of replicating the position and the movements of the patient's mouth. There are many systems available on the market for recording the position and the movements of the mouth, the structure and operating concepts of which are often quite different. The masticatory organ is the most complex motor system in the human body. In fact, we are able to perform a large number of movements with our mandible in three different directions. So how can these movements be recorded in such a way so as to allow the articulator to replicate them? Static readings allow us to pinpoint the location of the maxilla, which is often referred to as the position of the skull. Dynamic readings allow us to pinpoint all the movements that the mandible might make during chewing and during other physiological activities. The face bow serves to perform static readings, which are fundamental to properly positioning the model within the dental articulator, or rather to replicating the exact location of the patient's maxilla. 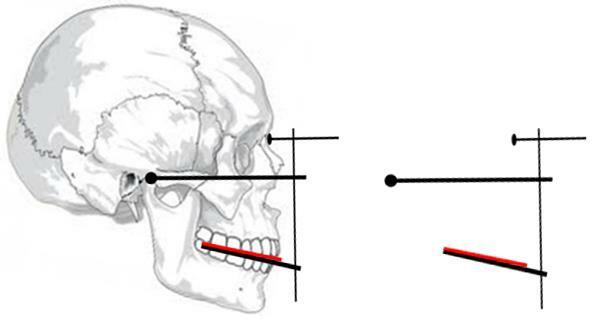 A static reading is a reading that provides the position of the maxilla in relation to the hinge axis, or rather the ideal axis that joins the two condyles of the mandible. How can this reading be obtained? 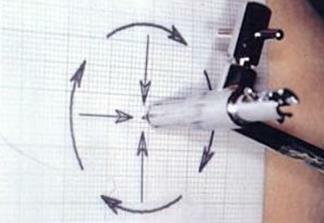 By using a tool called a face bow,: an instrument invented by George B. Snow in 1899. The kinematic face bow allows for the precise determination of the patient's hinge axis (terminal hinge axis), and therefore the spatial reference of the skull will be consistent with the patient's actual hinge axis. 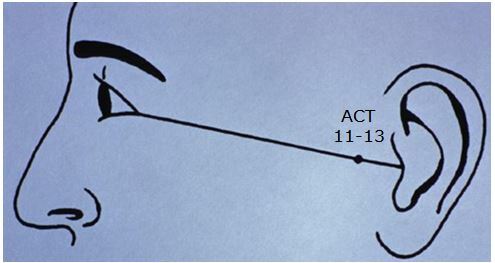 As we can see in Figure 1, this bow is positioned upon the mandible's articulation point, after having identified it both manually and by means of various movements performed by the patient. Thanks to the insertion and the correct reading of a graph (Figs. 2 and 3), upon which extremities of the face bow write, the exact position of the maxilla can be identified. As indicated by the name, this face bow is used to pinpoint the arbitrary hinge axis, rather than the actual one. Therefore the spatial reference of the maxilla will not be 100% accurate. Let's see why. As we have seen, the kinematic face bow takes readings that allow for the precise determination of the position of the patient's terminal hinge axis. The arbitrary face bow, on the other hand, takes a reading of the maxilla that's based on a reference for an approximate hinge axis. This face bow takes its name from the fact that it rests upon the face, like the kinematic bow (Fig. 4). It rests upon the arbitrarily identified temporomandibular joint, or rather the hinge axis as identified by touch. 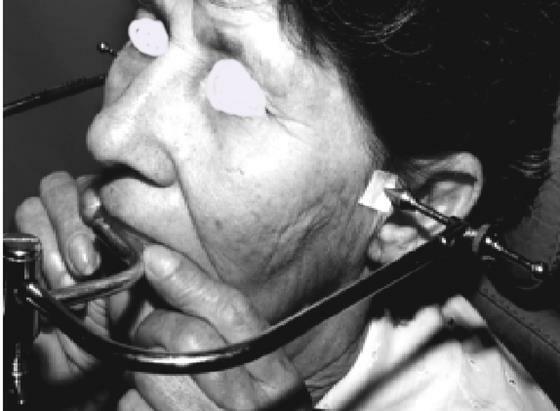 In this manner, the bow is applied without additional procedures, proceeding directly with the recording of the maxilla's position. In this case, once again, the name is indicative of the device's operating principle. The bow rests upon the external auditory meatus (Fig. 5). The bow's earplugs (ends) are basically inserted into the ears, and the position is subsequently taken making reference to an axis that is actually farther back than the patient's true terminal hinge axis. 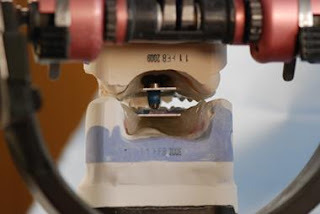 Articulators (or transfer systems) whose programming make use of arbitrary Ear bow type face bows feature an artificial correction whereby the position of the bow, which should be placed behind the actual hinge axis, is moved forward by about 11/13 mm, or rather by the average distance between the acoustic meatus and the terminal hinge axis (Photo 6). 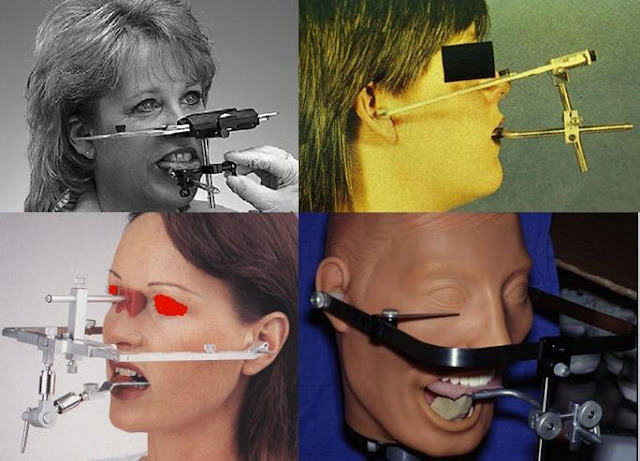 In the short sequence below (Sequence 1), we can schematically observe a face bow being inserted into the patient's mouth, with the wax positioned on the fork (a), the face bow being removed from the patient's mouth after the reference for the upper teeth has been taken (b), the face bow showing the exact location of the patient's maxilla on the articulator (c), the upper model being positioned on the imprint left by the teeth in the wax on the fork (d), the upper model being cast on the articulator (e), the articulator complete with the antagonist (the lower model antagonistic to the upper model) (f), and finally we can see the skull next to the articulator, which shows how the models have the same spatial positioning as that of the patient's mouth. In order to record the movements of the mandible, we will naturally use instruments other than the face bow, which, as previously mentioned, only performs readings of a static type. 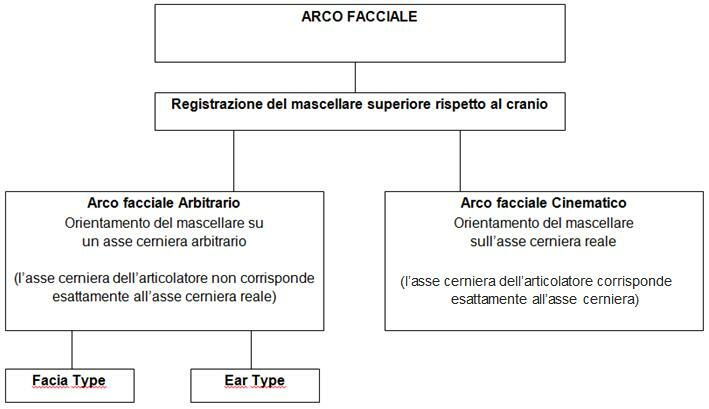 The Video / Movie section of the blog martinelliluca.blogspot.it contains a video regarding the use of the arbitrary Ear bow type face bow. Dynamic readings are used to record the movements of the patient's mandible is such a way so that they can be used to program the articulator, which in turn will be able to replicate the mandible's movements. certainly a more precise method than those listed above. The Gothic Arch (Fig. 7) is a rather dated tool (Designed by Gisy ca. 1901) that fell into disuse, but has recently been cited in various works of literature. 4 - the vertex of the Gothic arch, which corresponds to maximum spontaneous retrusion. Once the reading has been taken, it is placed in the articulator (Fig. 9). The pantograph basically records all the mandible's movements, including protrusion-retrusion, laterality and the bennet movement. It's a particular tool that dates back to the early 1900s (the Gysi axiograph of the early twentieth century - the Stuart pantograph of 1934), and requires a certain amounts of skill and experience. At first glance the device (Fig. 10) resembles a face bow, upon which the mandible's movements are transcribed by instructing the patient to perform certain movements (Fig. 11). All the data is translated into degrees and mm via the articulator's programming. It should be noted that today there are more advanced techniques (Fig. 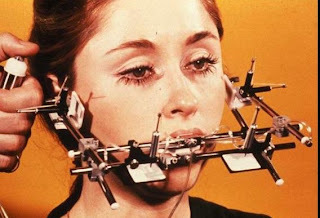 12) that make use of ultrasonic arcs, connected to computers with graphical representations and parameter calculations for programming the articulator, which record and analyse all the movements of the patient's mandible. Finally, there are also a large number of auxiliary tools like joint noise catchers and EMGs for verifying muscle activity, as well as a range other instruments used for different techniques/theories, like the kinesiograph and the myo-monitor, which will naturally not be discussed here. As we have already seen, there is a wide range of theories, articulators, and devices for recording patient data. The current trend in the field of dentistry is to be able to perform an acceptable job from an ethical (and legal) standpoint, was well as a job that is aesthetically, functionally and economically acceptable to both the patient and the dentist alike. It is therefore always desirable to find a quick, easy and inexpensive solution. In order to make some economic considerations, below we will take a general look at the combinations of recording devices and articulators necessary for reproducing the data. - More common than individual Articulators, ​​but not very widespread. - By far the most commonly used worldwide. While our intention is not to discuss what's right and what's not, the current tools that are most commonly used due to their speed, cost and ease of use are Ear bow type face bows in conjunction with average value articulators. 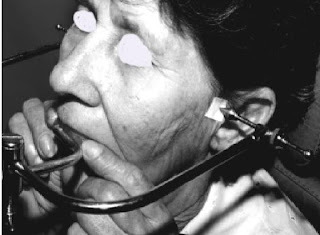 Sequence 2 shows the arbitrary Ear bow type face bow being prepared for use (1); the fork with the wax placed upon it for recording (2); the fork being placed in the patient's mouth (3); the subsequent placement of the face bow on the patient (4) - in this case it is oriented with the orbital plane; the adjustment of the nasion (5) and the locking of the fork to the face bow (6); the adjusted face bow in position (7); the face bow being removed from the patient's mouth (8); the fork retention block being removed from the face bow (9) and cast on the transfer table (13); the fork retention block being removed from the table once the plaster has hardened (15); the table being placed on the articulator (18, 19, 20); and finally the casting of the model to the articulator (21,22). The Virtual Facebow has been developed as an open-source tablet app that provides an alternative to the conventional facebow for the mounting of casts to an articulator. 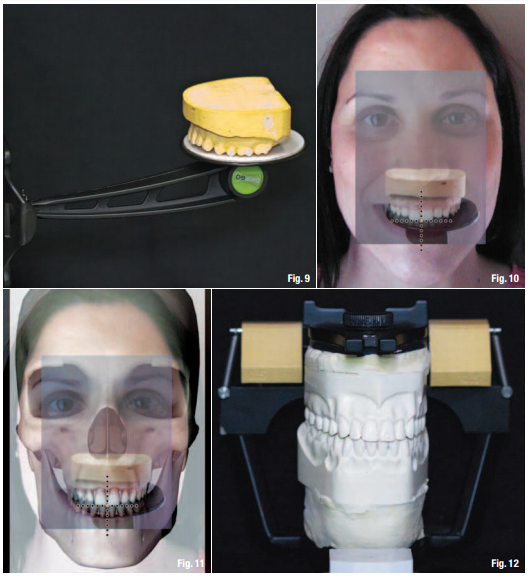 The Virtual Facebow implements several design features to prevent and minimize errors, provide accurate mounting and reinforce the anatomical considerations associated with articulators. The Virtual Facebow is an effective, efficient and accessible digital companion to dental implant diagnoses and treatment planning. To support proper mounting of patient casts, a face bow, which aligns the maxilla to relative facial planes, can be utilized. Errors in the utilization of the facebow, or complete lack thereof, create critical errors in diag noses and treatment planning that become magnified in the design and delivery of implant prosthetics. The Virtual Facebow has been developed as a digital substitute to the analogue facebow to address the shortcomings. The following is a step-by-step instruction on the VF utilization. Properly position the patient and confirm orientation. Place the tablet in the stand within 6 to 12 inches of the patient. Launch the VF app (Fig. 5). Position the skull and reference markers over the patient’s image. Confirm alignment of tablet and markers and simply take a photo. Resize and reposition the patient photo if required and save the image. 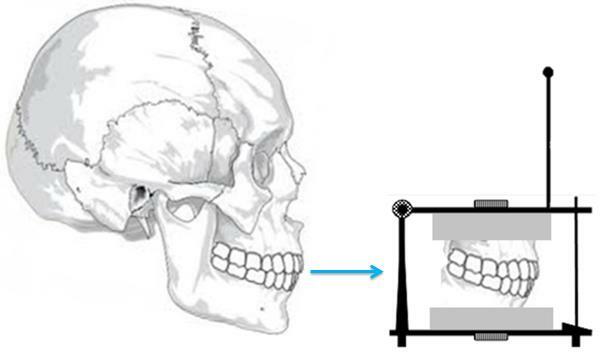 Verify orientation of midlines, incisal edges, occlusal planes and anatomical references by altering the transparency of either the skull or face image (Fig. 6). Clinically assess occlusal contacts (Fig. 7) and input via the touch screen (Fig. 8). Clinical component has been completed. If the clinician has delegated mounting to the laboratory, then the records phase has been completed. The following applies to those who mount their own casts. Position the tablet in the stand 6 to 12 inches from the cast and launch the VF app. Place the maxillary cast on the articulator mount (Fig. 9). The patient image will appear. Adjust orientation of cast (tilt) to confirm alignment with the patient markers. 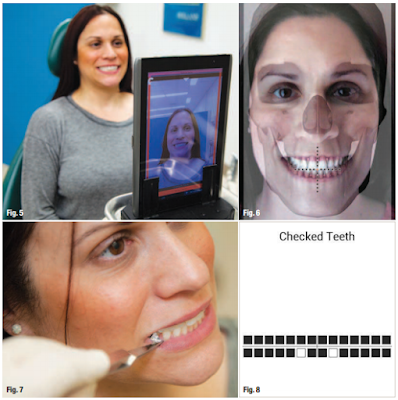 Verify orientation of midline, incisal edges, occlusal plane and facial references (Fig. 10). When the cast is correctly positioned, simply take a photo. Resize and reposition the image if required and save the image. Orientation can be confirmed by altering the transparency of either the face or cast image. Mount the maxillary cast to the upper articulator. The record of occlusal contacts (Fig. 8) will then be displayed. Position the mandibular cast to the maxillary cast, confirming contacts, and mount the mandibular cast. The VF will then generate a composite of the skull, face and cast. The operator has the ability to alter the transparency of any image to reconfirm the position of the skull to the patient’s face and, ultimately, to the cast (Fig. 11). The laboratory component has been completed (Fig. 12). The files are then saved on the hard drive as a series of PDFs and JPGs, both of manageable size. The user has the option of emailing either the complete series or individual images, in PDF or JPG, to any third party. The user has the ability to refer back to any image but cannot modify any of the images. A series of six screenshots document the VF process. With this method it is possible to ascertain for each patient the occlusion level and the asymmetries without the usual face or transfer bow. Visualized with its natural inclination, it is therefore possible to reproduce them on a virtual articulator equipped with the appropriate geometries. The patient´s important intraoral data (midline, occlusion level and its three-dimensional course) is processed and reproduced one to one. Thus, in laboratory restorations or in the dental care, prior to setting up a therapy plan, it is possible to detect possible compensations, as well as to reduce or even prevent sources of error and transmission errors during the production or planning of a prosthetic restoration. Recording the natural position of the maxilla and measuring the occlusal plane starts out by placing the PlaneFinder® on a level surface and aligning its upper arm horizontally. 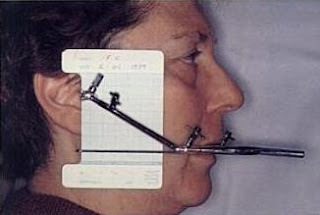 The extension of the arm thus provides a zero-degree reference plane, horizontally hemisecting the face at a zero once the patient has placed his or her head in NHP (Fig. 9). That this zero-degree angle can be revisited any time – because the NHP is reproducible – renders the reference plane independent of any physical asymmetries. An independent reference value of this type could not be ensured by using a conventional facebow, which would involve application of a symmetrical measuring instrument to the asymmetric skull while there is Ometries. 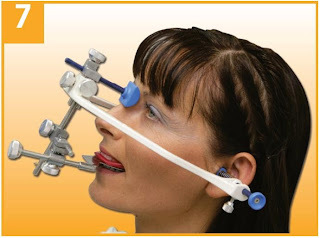 To prepare for recording its natural position, the maxilla is placed by the patient upon a bite tray connected to the PlaneFinder ®, followed by indexing of this position with bite registration material (Fig. 10). The fact that the patient will always be able to return to this position in which the reference plane has been measured guarantees the independent nature of this plane now recorded in a silicone index. The same applies to the inclination of the occlusal plane. Again, the zero-degree reference plane identified by the PlaneFinder® serves as an independent reference plane, which can be reproduced based on the patient’s natural head position at any time. The inclination angle is determined based on the ala tragus line, whose orientation may be assumed to be parallel to the natural occlusal plane (Figs. 11 und 12). This line extends from the lower border of the nasal wing (ala nasi) to the cartilage before the opening of the ear (tragus). As the bilateral values for this inclination may vary due to natural asymmetries, its angle is measured on both sides of the face. developing the case coincided with the natural occlusal plane that had been recorded directly from the patient. the patient’s absolute midline (Fig. 17), the occlusal plane (Fig. 18), and tooth proportions as well as various 2D/3D photographic images (Face Hunter) and cephalograms (Figs. 19 and 20). For well-founded aesthetic matching of the restorative tooth shapes and positions to the shape and gestures of the face, the patient should be depicted in those photographs from different angles and with varying facial expressions (like serious or laughing or smiling). some of these photos are photos posted on the web, anyone who believes they have the right to object to the use he gives notice, the photos will be removed immediately.